From our experience all of our customers have benefited from a 2 hour session on black box driver training. 1 Hour will give you a taste of the requirements and 2 hours will enable your PURE driving instructor top teach and embed new skills which will ultimately reduce your insurance premium. In 1995 the Driving Standards Agency introduced Pass Plus, a six hour course designed to improve the standards of newly qualified drivers. The course is intended to cover areas that the driving test did not, motorways and night driving for example, and to tempt people into doing it insurers applied a discount for new drivers if they had passed it. Twenty years on and the scheme is still running but with limited uptake, finding an insurer willing to give you any discount for having completed it is difficult and the Driver and Vehicle Standards Agency seems to have stopped supporting it. 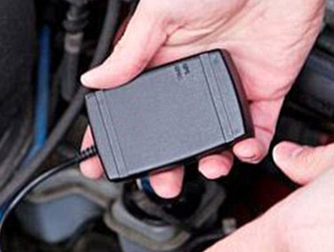 Becoming ever increasingly popular is the telematic data recorder or blackbox insurance policies, estimated to be fitted to over 500,00 vehicles over the next few years. 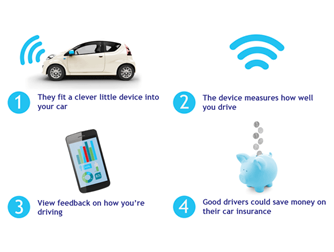 The device uses GPS to record data and send it back to your insurance company, giving them information on when and how you drive and the good news is that figures show that drivers who score fewer marks are involved in less accidents. The bad news is that nobody takes any action other than charging you more money if the score produced isn’t good, question is, how to improve the score without abandoning your car in favour of the bus. Driving fewer miles is the easiest way to improve your score but unfortunately not always the most practical, what’s the point in owning a car if you’re going to be penalised for using it. What type of journeys you make. The old saying “most accidents happen within a mile of home” does hold some weight, drivers who drive on familiar roads quite easily switch to autopilot, and driving on autopilot increases your reaction times significantly. The answer is fairly simple, avoid using the car if you could walk or cycle but again that’s not always practical. When you drive, driving during unsociable hours is definitely more hazardous so make sure that if you need your car after sunset you have chosen a policy that doesn’t have a curfew set. How you drive. The blackbox in your car records every movement your vehicle makes and you as the driver are directly responsible for this, acceleration, braking, speed and steering are all controlled by the driver and being smooth, calm and correct with your input will result in fewer points, lower scores and less risk. For most this conjures up images of sedate slow boring driving but that doesn’t have to be the case, your ability to plan effectively and read all the clues that you are presented with correclty will have a big impact on your driving and the best news is that we can teach you how to use more advanced techniques to achieve this.